There will always be that one co-worker, that one friend or that one neighbour who just doesn't get it! They have no idea what they are missing out on. And all you want to do is to tie them up in a chair, use one of those things that optometrists use to keep the eyes open and make them binge-watch it. "Ok, it's been a couple of days and if you still haven't watched it yet, it's on you! So spoiler alert! 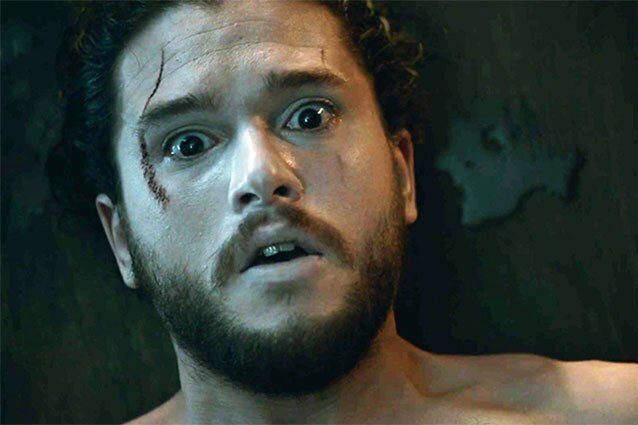 Jon Snow is not dead! I mean he was and then Melisandre..."
"I don't watch Game of Thrones." "Sorry, I don't understand the words coming out of your mouth right now. What do you mean you don't watch Game of Thrones?" If you are a GoT fan, chances are, you've had this conversation at least once in your life. There will always be that one co-worker, that one friend or that one neighbour who just doesn't get it! They have no idea what they are missing out on. And all you want to do is to tie them up in a chair, use one of those things that optometrists use to keep the eyes open and make them binge-watch it. Because we go through life thinking everyone knows Theon doesn't have his little Greyjoy anymore, as soon as it's April and the GoT season starts. Before, it was Friends. 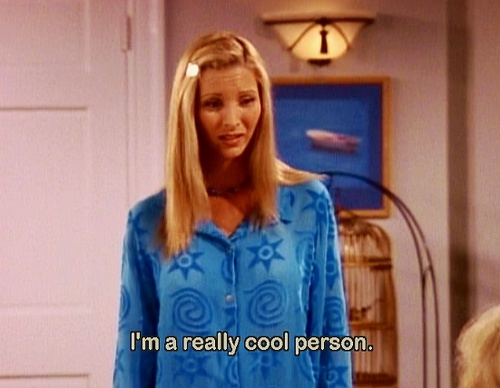 I used to throw Phoebe's one-liners at random people I met, expecting them to just "get it". And I showed genuine humanly concern when I learned they hadn't even watched one episode of the show. The idea that one would refuse to experience this pop culture phenomenon was more than I could fathom. It was also a sort of a coping mechanism of my introverted self to let the humans around me know through my immersion in pop culture that I was chill and cool and totally normal. If you are one of those people who doesn't care for GoT or Friends or anything that pop culture (or I) tries to shove down your throat, I apologize. If you are one of those people who doesn't care for GoT or Friends or anything that pop culture (or I) tries to shove down your throat, I apologize. I know it's hard. I go through the same when it's the World Cup or the IPL season and people go on and on about Anushka Sharma's lips. I don't get that either. So we are all victims here, one way or the other. As a society, we've reached a point where we don't know if we should like or hate something without first checking Twitter or Facebook. When the government came up with the Digital India campaign, I went to Facebook to see if I should be supporting it or not. I could have googled it, learned more about it. But no, I wanted to see what my fellow liberals were thinking, first. It's like when the teacher asks everyone who didn't do the homework to raise their hands and you wait a moment to look around and see how many hands are in the air, even though you know you "did it but forgot to bring it". Beyoncé drops a new album? Let me check Twitter first to see how many celebrities are jamming to it and then I'll decide if I like it or not. I lick my finger and raise my hand up in the air to see which direction the wind is blowing. I'm basically Hillary Clinton! This unexplainable tendency to litmus test every single thing to see if it's "cool enough" is the same reason many of us tend to force "cool" things on others. This unexplainable tendency to litmus test every single thing to see if it's "cool enough" is the same reason many of us tend to force "cool" things on others. If we could all agree that art, in any form, is highly subjective, we could end many wars that happen in countless cafeterias, pubs, hostel rooms and the internet. How many egos need to be hurt, how many self-esteems need to be destroyed, how many friendships, relationships and marriages need to be broken before we can accept that? It's like when Phoebe says to Ross, "What is this obsessive need you have to make everyone agree with you? No, what's that all about? I think... I think maybe it's time you put Ross under the microscope." I know you didn't ask for that reference. But just... okay?